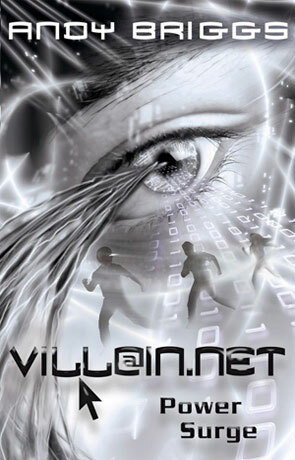 Villain.net: Power Surge is the 3rd volume in the Villain.net series, one half of the merged series (with Hero.com) from the author Andy Briggs. Jake Hunter is now on the council of evil and is finally in a position to extract revenge on those most deserving. He also has a mission, to restore his families memories so his parents and sister will once again know who he is. Being an evil super-villain is never easy or straight forward though, especially with Hero.com hot on his tail, with a very nasty (and some would say evil) trick up their super-sleeves to capture or kill the Dark Hunter. Any Briggs vision of a world with super-hero's and super-villain's is a very original one and has been very well realised. These books are superbly written, the story sets off at a high pace and never once slows down. While there are clearly 2 sides of good and evil, the actual hero's and anti-hero's are never as clear cut as that, with Hero.com performing some quite despicable acts, while Jake shows an occasional good streak (although usually short lived). I have been well and truly hooked on this novel from start to finish, it is so close to being a super-villain film in book form, I personally cannot wait till the next volume and highly recommend this book. Written on 1st July 2009 by Ant.